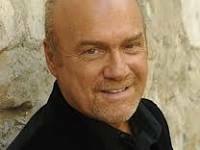 Greg Laurie – Why the Virgin Birth of Jesus? Larry King once said that if he could choose one person to interview from the course of human history, he would choose to interview Jesus Christ. King said that he would like to ask Jesus “if He was indeed virgin-born.” He added, “The answer to that question would define history for me.” Larry King understands that the Virgin Birth is a big deal. If you are a Bible-believing Christian, then you can’t dismiss what the Scriptures teach on this topic. I would even take it further and say that if you don’t believe that Jesus was supernaturally conceived in the womb of the Virgin Mary, then you can’t really be a Christian. This is an essential part of Christian doctrine. If Christ was not conceived in the womb of Mary by the Holy Spirit, if His biological father was indeed Joseph, then He was a sinner. And if He was a sinner, then His death on the cross did not atone for my sins or yours. I AM is God’s own statement about Himself. When Moses wanted to know what to say when people asked who had sent him, God told him, “I AM WHO I AM. Say this to the people of Israel: I AM has sent me to you” (Exodus 3:14). That is why the Virgin Birth is such an essential teaching. Christ was not God because He was virgin-born; He was virgin-born because He was God.